Traditional Family Living Close to Amenities! Character and functionality is evident in this spacious three bedroom residence. Set on a generous 616sqm (approx.) block this charming home boasts an abundance of space and street appeal. This peaceful family residence provides the perfect opportunity to secure a quality property with room to grow! Offering two living rooms and two dining spaces, enjoy an abundance of room for all members of the household. Fresh carpets throughout and a neutral colour palette this creates the perfect base to move straight in! The character filled wood panelled kitchen presents a functional layout and acts as the heart of the home. Boasting plenty of bench space and a breakfast bar, this space services the internal dining areas and the outdoor entertaining zone with ease. Positioned at the front of the home the master bedroom offers a walk-in robe and a light and bright ensuite. The two additional bedrooms boast built-in robes and oversee the rear garden. The guest bedrooms are serviced by a fully equipped family bathroom and separate toilet. 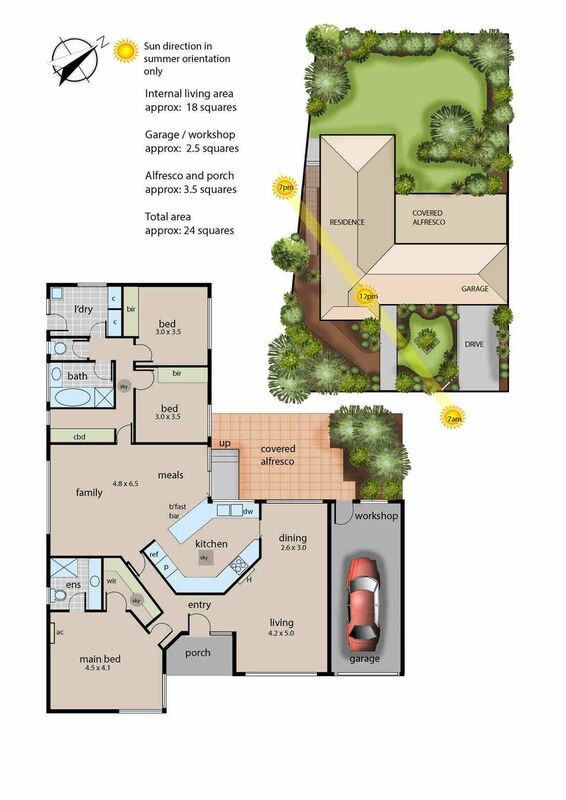 The rear garden showcases a sheltered outdoor entertaining area which spills out to the rear garden. The yard features an array of established plants and trees creating the perfect backdrop for this charming abode. For more information call us today and be impressed by this fantastic property upon inspection! Don’t miss out on the opportunity to secure this excellent property only moments from Frankston’s expanding CBD.